Returned from vacation in time for another over-full week of music in Humboldt -- one with too many choices. We'll start with the icons. 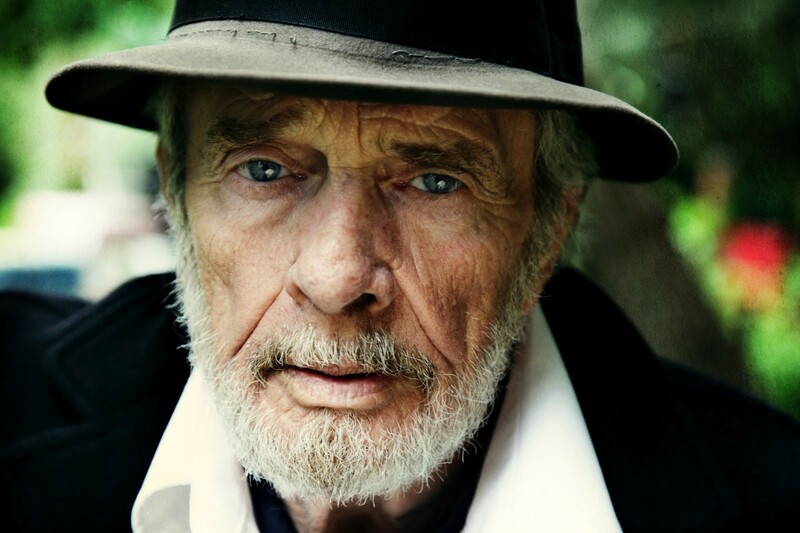 Coming to the Mateel Saturday, outlaw country legend Merle Haggard with his band, The Strangers. Born in Oildale, near Bakersfield, Haggard has led a hard-knock life: In and out of juvenile detention as a teen, he served time in San Quentin before breaking through in country music. His 1966 No. 1 hit "I Am a Lonesome Fugitive" could have been about his time here in Humboldt: He was once arrested on a fugitive warrant while pulling green-chain at an Arcata mill. Songs like "Branded Man" and "Mama Tried" tell more of his outlaw story, but, for better or worse, he's probably best known for "Okie from Muskogee," a redneck anthem from 1969 that poked fun at hippies and potheads. (Haggard later admitted he was stoned when he wrote it.) Now 75, the singer recently suffered a heart attack and fought off lung cancer, but he's still working and just released a new record built around another 1969 hit, "Working Man Blues." Added bonus for the Mateel show: an opening set by biker festival faves The Fried Brothers. Concert proceeds go to support South Fork High School. Around the time Merle was inventing the Bakersfield country sound, a hippie folk/rock supergroup was coming together in L.A. David Crosby came out of The Byrds, Stephen Stills was one of the guitarist/songwriters in Buffalo Springfield, and Brit Graham Nash had come over with The Hollies. Their 1969 hit album Crosby, Stills and Nash was a revelation with its sweet harmonies and songs about politics and the hippie lifestyle. As Crosby explained when I spoke with him a few years ago, the band realized, "We [had] the power to spread these ideas, and they were good ideas -- love instead of hate, peace instead of war, civil rights -- it's all good stuff." By the time they played Woodstock, Neil Young had joined them, adding further power. While Neil is still out rockin' in the free world with a new band, CS&N come together for occasional tours and sing the old favorites. That's what you'll hear Monday when CenterArts brings Crosby, Stills and Nash to the Van Duzer. The Arcata Playhouse rocks all weekend starting with a Thursday show by the San Francisco-based alt. Americana combo Blame Sally. Formed at the turn of the millennium by four female singer/songwriters (none of them named Sally), the band made a big splash at this summer's Kate Wolf Fest, and the ladies are ready to take Arcata by storm (after an opening set by local songstress Jan Bramlett, backed by Rick Copeland). Friday at the Playhouse, Casey Neill and The Norway Rats return for a night of folky rock, or maybe rocky folk. My vacation took me to Neill's current hometown, Portland, where I caught a set by The N-Rats at a PDX pub. While Casey is an incisive, insightful songwriter, the show was on Joe Strummer's birthday so he and his band were playing songs by The Clash -- and they rocked, hard. You might hear a Merle Haggard song at the Playhouse Saturday night as Rooster McClintock draws heavily on Bakersfield-style country in its Humboldt honky tonk sound. Slingshot opens the show. Coming to the Playhouse Tuesday: a special songwriter circle with John Elliott, Texas journeyman Matt the Electrician (yes, he was once an electrician), and a duo called Birds of Chicago with JT Nero of the Chicago rock/soul band JT and the Clouds and Allison Russell from the Canadian folk combo Po' Girl (who have played the Playhouse before). Should be good. Thursday at the Jambalaya heavy Humboldt psyche rockers Drifter Killer roll out a debut CD, Sweet Head Shocker. (Try to grab one with the übercool limited edition black leather slipcase.) The psychedelic Small Axe Ensemble shares the bill. Meanwhile across town, PDX rapper Cool Nutz stops by Mazzotti's on his "I Am Portland" tour with guests Dubbleoo, DJ Fatboy and Chillest Illest. Nutz (aka Terrance Scott) is on the road behind a new album, Portland Ni%#a. More EDM Friday at Nocturnum with WERKproductions presenting Yheti, Tæo and J3Tski. Tæo is also headlining Funkshun, "a celebration of local music and art" Saturday at the Manila Community Center, noon until midnight. Also performing: Onhell, Wrye, DAT1, Alien Lounge, Schedule1, Seatones, Jerboa and Goodshield Aguilar, plus "live art" by Demise among others and VJ visuals (a light show). Friday at Old Town Coffee, Josephine Johnson and her songwriter friend Sam Whitlatch open for lobo marino, a guy-girl duo out of Richmond, Va., playing what Josephine describes as "kind of grunge-y folk, a little Michael-Stipe-y-meets-Hope-Sandoval-ish. They found me on Facebook and thought I had a similar musical, spiritual, traveling ethos," says J.J. "That's kinda cool, eh?" It is. The annual Surf4Peace is all day Saturday on the North Jetty, followed by the Fallout 2012 After Party that evening at Arcata Theatre Lounge featuring Likwefi, a surf rock power trio that has been playing "experimental electronic organic life soundtrack music" since 2004. Also on the bill: Hella Kinetik with members of Moo-Got-2, plus local DJ Piper. Bonus: live painting by Matt Beard. Sunday at Humboldt Brews, self-proclaimed "Dirty Old One Man Band" Scott H. Biram stomps out a few bluesy numbers about drinking and debauchery. He's touring with Restavrant (yes, with a "v"), a punk/folk/blues duo out of L.A. along the same lines. Monday, around the time CS&N finish their set at the JVD, Los Angeles-based alt. Americana folk rockers Rose's Pawn Shop take the stage at HumBrews. For some reason founder/songwriter Paul Givant's wide-ranging list of influences -- Woody Guthrie, Bill Monroe and Hank Sr., The Ramones and The Pogues, songwriting by Elliott Smith and The Beatles -- skips over the entire L.A. folk/rock ‘60s scene. The result: punky bluegrass that could come from anywhere. Of course the big deal this weekend is the 39th annual North Country Fair Saturday and Sunday on the Arcata Plaza. You'll find some details in the calendar section, but not much on the music. My quick Saturday picks: Lyndsey Battle, who starts at 10:30 a.m. (a little too early), Gunsafe at 2 p.m. and SoHum's wonderful Lost Coast Marimbas, who close things out with ethereal jazz starting at 4:30. There's lots more Sunday, but the high point might be at noon when former local William Coleman returns with his trio Ask Sophie, augmented by Marla Joy, Peggy Martinez and Jeff Kelley. Peggy explains that they'll play some Ask Sophie stuff and something by Fred and Wilma (Peggy and Jeff), "but our main focus is to pay tribute to the fabulous and brilliant Kevyn Dymond, internationally recognized music composer." Google "Arcata Kevyn Dymond" and you'll find some idiosyncratic songs he recorded in the ‘80s - very cool stuff. See you at the Fair.